Feb. 2, 2012: Authors of the best papers submitted to the workshop will be invited to submit their extended versions to Cluster Computing: Special Issue on Soft Computing Techniques in Cluster and Grid Computing Systems. Cluster Computing, The Journal of Networks, Software Tools and Applications (2010 Impact Factor: 0.679) is indexed on SCI, SCOPUS, INSPEC, Google Scholar, EBSCO, CSA, ACM Digital Library, CSI, DBLP, JCR/SE, and others. May 11, 2012: Deadline extension, papers accepted until 31/05/2012. May 28, 2012: Final deadline extension, papers accepted until 10/06/2012 using Easy Chair submission system. July 02, 2012: New notification of acceptance on 07/07/2012. July 7, 2012: Take note of the HPCLatam 2012 place: Salón de Actos (Meeting Room), second floor, Facultad de Ciencias Económicas (Business School), Universidad de Buenos Aires, Av. Córdoba 2122. July 11, 2012: Special keynotes: Ian Foster(Argonne National Laboratory, University of Chicago), Mateo Valero (BSC, Spain) supported by RISC, Mauricio Marín (Yahoo! Research, Chile) supported by RISC and Adrián Cristal (BSC, Spain) supported by RISC; and one invited talk: Javier Príncipe (Universitat Politécnica de Catalunya, Spain). August 26, 2012: New page with presentations and papers. New complete proceedings avaliable: HPCLatAm 2012 proceedings (ISSN: 2422-5207). 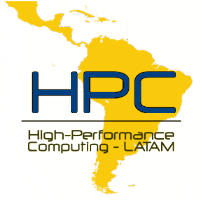 Building on the great success of the previous four editions, this year the Latin American Symposium on High Performance Computing is growing to include three major events: the High Performance Computing School (ECAR 2012), the V HPCLatAm2012 International Symposium itself (both to be held in Buenos Aires, from July 23 to August 3), and the HPC Day (August 30) within the 41st Argentine Conference of Informatics (41 JAIIO). The authors of accepted papers must guarantee that their paper will be presented at the symposium. At least one author of each accepted paper must be duly registered for the symposium in order for the paper to be scheduled in the papers session and to appear in the V HPCLatAm2012 proceedings. Full papers must not exceed 16 pages, including name, affiliation and address of the author(s), figures, tables, references, and an abstract of no more than 200 words. All full paper submissions will be carefully reviewed by at least two experts and returned to the author(s) with comments to ensure the high quality of accepted papers. Full papers accepted for the program will appear in the V HPCLatAm2012 proceedings. Authors are invited to submit short papers (extended abstracts) for results that are too late to be submitted as regular full-length papers. Short papers must not exceed 4 pages. Short papers accepted for the program will appear in the proceedings (not expanded to full papers, and with Extended Abstract in the title) and be presented orally during the symposium (in suitably shorter speaking slots) as a regular part of the program. Authors of the best papers submitted to the workshop will be invited to submit their extended versions to Cluster Computing: Special Issue on Soft Computing Techniques in Cluster and Grid Computing Systems. Cluster Computing, The Journal of Networks, Software Tools and Applications (2010 Impact Factor: 0.679) is indexed on SCI, SCOPUS, INSPEC, Google Scholar, EBSCO, CSA, ACM Digital Library, CSI, DBLP, JCR/SE, and others. 21:00 Symposium dinner (Parrilla típica "El Desnivel", Defensa 855, San Telmo), transportation available. SADIO non-members: $430 (Argentinian Pesos). SADIO members: $215 (Argentinian Pesos). Professors and education staff: $260 (Argentinian Pesos). SADIO non-members students: $120 (Argentinian Pesos). SADIO members students: $120 (Argentinian Pesos). Cash: SADIO - Uruguay 252 2º "D"- Capital Federal - Buenos Aires. Monday-Friday 12:00 to 18:00.
Credit card: VISA o MASTERCARD. "A network for supporting the coordination of Supercomputing Research between Europe and Latin America"